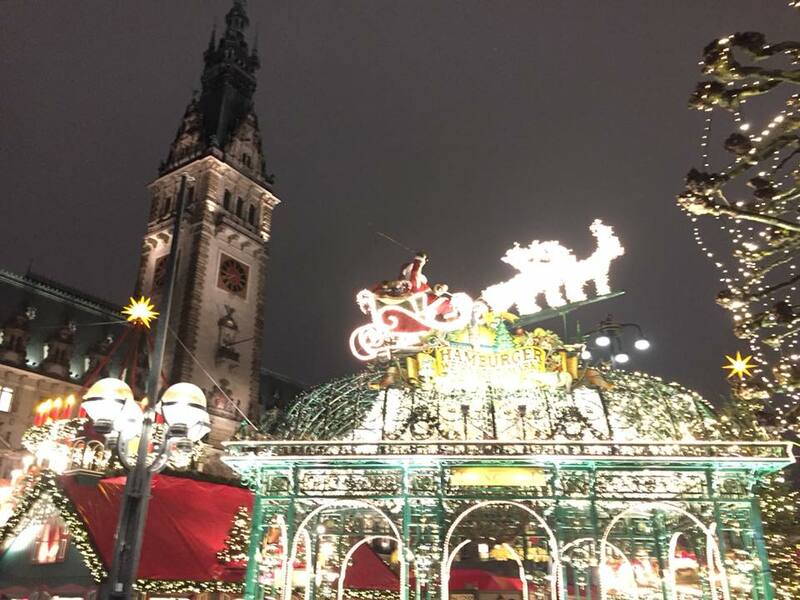 This year, we decided to try Hamburg for the Christmas Markets. Two years ago we did Nuremburg, and last year we were in Basil, Switzerland. All year, I have been probing my German clients for suggestions, and Hamburg had many good recommendations. It was about 2 weeks before Thanksgiving when I finally sat down and made plans. So, an Easyjet and AirBNB later, we were settled. 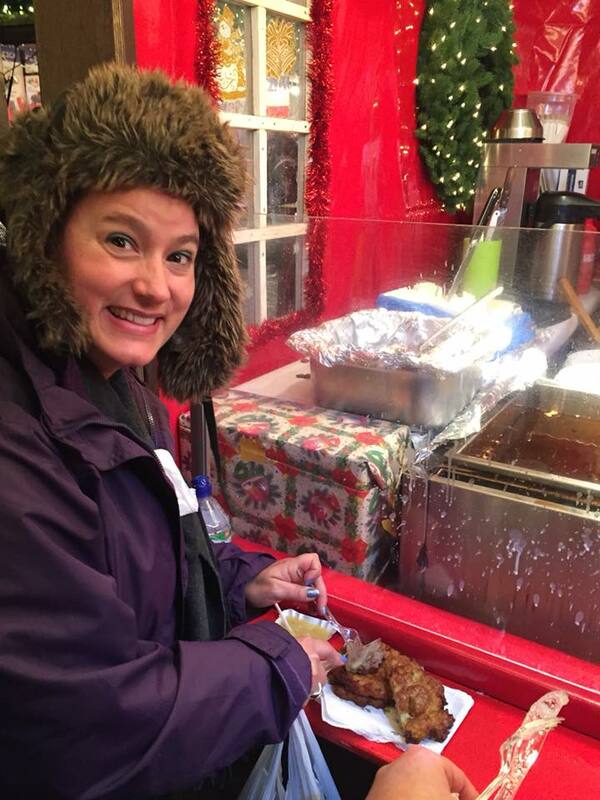 German Christmas markets are just lovely! This is kind of a new tradition for us, but it is quickly becoming something I look forward to each year. As for planning, it's just 3 days of markets. I rarely try to pack in anything else, which is not normal for me. These three days, usually around our wedding anniversary, are for relaxing and consuming mass quantities of gluewein and food! Seriously! 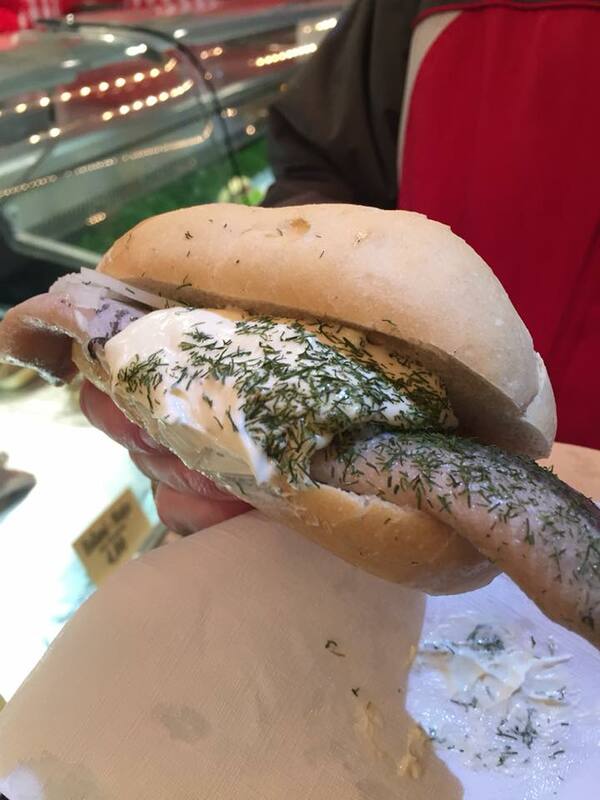 Fischbrötchen - a herring sandwich that I fell in love with. I had 3, but easily could have eaten 12. Finkenwerder Scholle - a fish dish that I didn't manage to eat because it wasn't really a market/street food thing. Labskaus - a beef tar-tar type dish with an egg... we don't do beef, so missed this one. Grünkohl - kale. yes, Kale. We had a bite, it was delicious and served with a sausage. Aalsuppe - again, we didn't find this eel soup on the market stalls. Franzbrötchen - this sweet roll pastry was breakfast everyday! 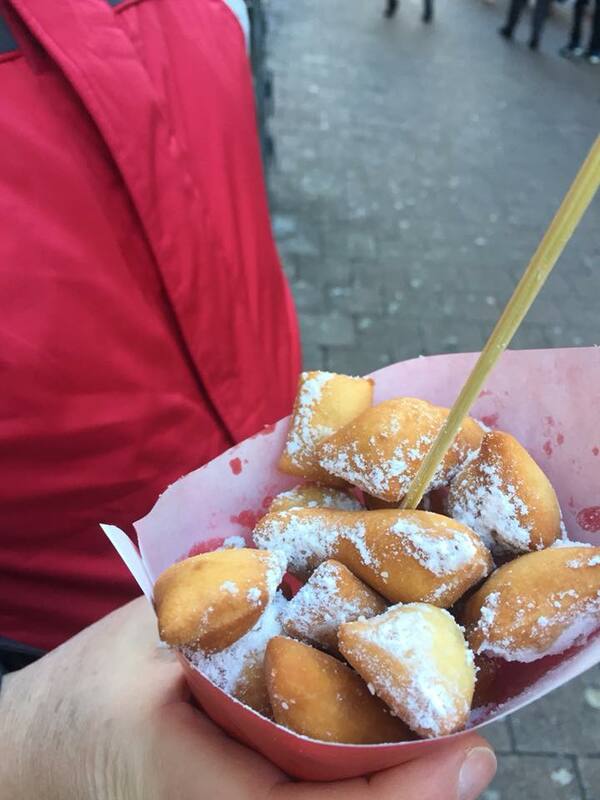 Schmalzkuchen - little square fried dough with a lemon essence and powdered sugar. Yum. Weihnachtsmarkt (in the square of the Rathaus) - this was fantastic, large and has a flying Santa Claus at 4pm, 6pm and 8pm every day. I found some sausage with cheese that was delicious. This is where the good Fischbrotchen was found, too! Winterwald (a short walk away from the main market) - they have a whole area of Christmas trees! This is where we found Honigwein.... Hot Honey Wine. We had many. Many. Gänsemarkt (just beyond Neuer Wall) - there was a posh feel to this market. Lots of people seem to be getting off work and enjoying a gluwein with a coworker or 7. They also didn't give back the full deposit for mugs, which was annoying. Jungfernsteig (small but good) - honestly, they all start to run together at this point! Fleet Weihnachtsmarkt (lovely and right on the river) - this might be part of the Jungfernsteig.... but they had Chimney Cake which was incredible. Santa Pauli Christmas Festival (the "X-rated" market) - a bit of a let down. I was looking foward to this, expecting some fun and interesting things. Instead, it felt seedy. I didn't want to consume anything from any of these markets. There was just a dirtyness about it. While we were in town, we decided to do a tour. As a tour guide myself, I would feel really weird about going somewhere and NOT doing a basic tour. I love to understand the history and context of a city, the famous buildings and a little bit of background. My timing wasn't so great, as in December, there are less tours to choose from than in the summer. 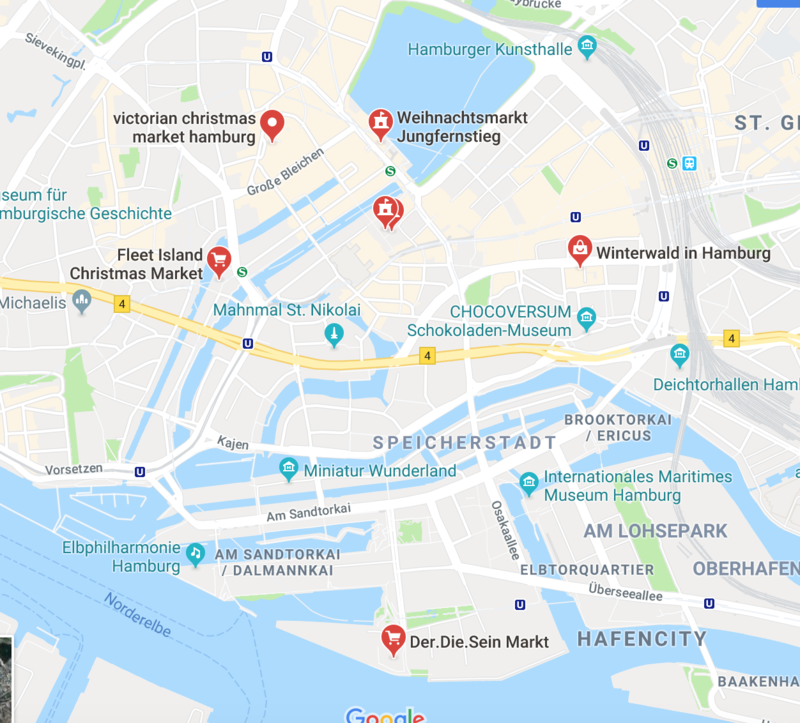 I did some research on Get Your Guide and found some amazing food tours.... all in German sadly. I was forced to rely on the "free" tours that are offered, where you tip at the end. I don't have a problem with tipping for a good tour, and I do it generously because I know what it's like! However, I am always worried about the quality of these tours. I know that most of these guides are actors who are just here until their next acting job, so many of them have learned the script and can deliver it well, but they haven't done the historical research to answer questions. Yet, when we were in Amsterdam in March, we had some fabulous guides on these free tours, so I decided to give it another go. The tour was a good "basic" overview. I was particularly moved by the church built by George Gilbert Scott that had been bombed and preserved. We found some restaurants that we would liked to have visited, but ran out of time. I tipped the guide £20, but was not really impressed with his use of profanity and cheesy jokes. We would never venture into a red light district without a guide, and so we booked the evening tour. Unfortunately, we had the same guide. His profanity was more appropriate on this tour, but the cheesy jokes continued. The tour ended in a very unsavoury location, with a long walk to civilisation in the cold, dark night. 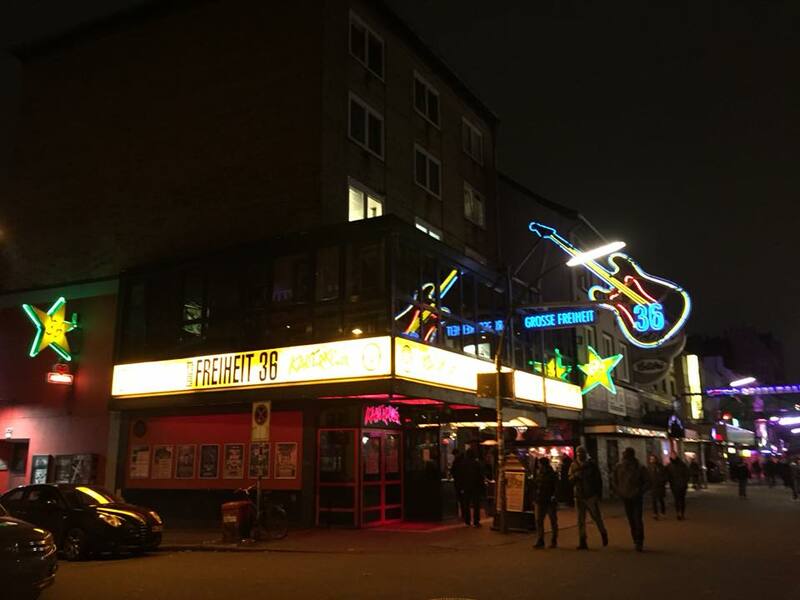 However, we did get to see part of the "x-rated" market, learn about the red light protocol, and see where The Beatles performed regularly. That was nice. Overall, I highly recommend Hamburg. 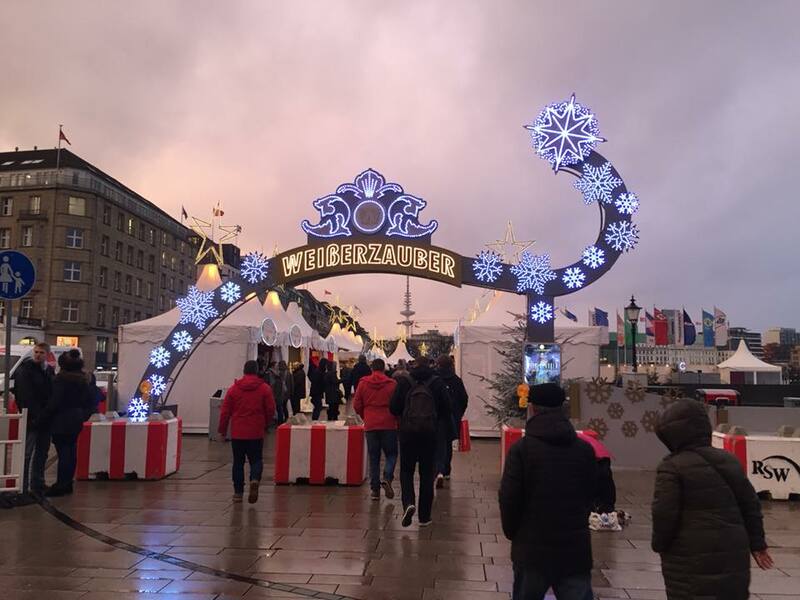 The one thing I discovered at the Christmas markets here was Eierpunsch. It's eggnog, with rum, served hot. Sounds awful.... but it was delicious. One of the locals said that in the nearby town of Lubeck (which is the home of marzipan) they have a marzipan punsch! Hmm... I wonder where we will go next year?